The revolution that brought the African National Congress (ANC) to power in South Africa was fractured by internal conflict. Migrant workers from rural Zululand rejected many of the egalitarian values and policies fundamental to the ANC’s liberal democratic platform and organized themselves in an attempt to sabotage the movement. This anti-democracy stance, which persists today as a direct critique of “freedom” in neoliberal South Africa, hinges on an idealized vision of the rural home and a hierarchical social order crafted in part by the technologies of colonial governance over the past century. In analyzing this conflict, Jason Hickel contributes to broad theoretical debates about liberalism and democratization in the postcolonial world. 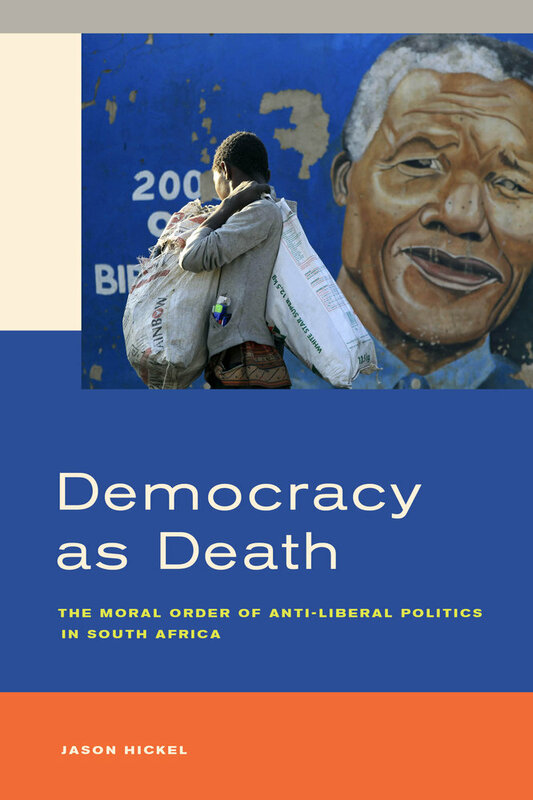 Democracy as Death interrogates the Western ideals of individual freedom and agency from the perspective of those who oppose such ideals, and questions the assumptions underpinning theories of anti-liberal movements. The book argues that both democracy and the political science that attempts to explain resistance to it presuppose a model of personhood native to Western capitalism, which may not operate cross-culturally. Jason Hickel is Postdoctoral Fellow at the London School of Economics. He is coeditor of the book Ekhaya: The Politics of Home in KwaZulu-Natal. "Democracy as Death raises crucial questions for people who care about bringing a just world into being. It challenges the failure to recognize the Eurocentric assumptions that limit the left’s vision of democracy, and highlights how the left’s modernizing project marginalizes and objectifies rural and indigenous people, their values and worldviews. The left can and must learn from such critiques. Hickel’s work is an important contribution to academic literature that is relevant to real world struggles for economic and social justice." Wende Marshall is author of Potent Mana: Lessons in Power and Healing, and a member of United Academics of Philadelphia/American Federation of Teachers, Local 9608.